When it comes to putting all the pieces together in the Geo Political chessboard of this planet , very few have the insight and background that Webster Tarpley has. Considered a conspiracy theorists by the main stream , he is one of the most educated and knowledgeable voices out there when it comes to breaking down the psychological operations that have been going on for centuries by the powers that be. Webster Tarpley was one of the first to use the term “False Flag” operations in describing the rogue network of the military industrial complex as being the engineers behind 911. With a degree from Princeton University and a Fulbright Scholar from the university of Turin , Webster is incredibly articulate and knowledgeable and is not at all the typical Conspiracy nut stereotype. Webster Tarpley’s research shows that “False Flag Events” and social engineering by the ruling elite has been going on for centuries and he has the historical evidence to back it up. Most of the information is out there , if you take the time to do your own research , but Webster has done the job for us thankfully , for those of us that don’t have the time. Check out the books below by Webster Tarpley ! 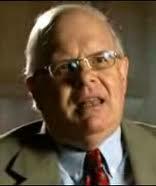 Webster Tarpley explains the Bin Laden Hoax on the TV Press.